Born: October 13, 1822 in Sandwich Ma. Died: 1879; Died in the Arctic at 57 yrs. 1. infant daughter Nye; (? – May 11, 1856); She is buried in Cataumet Cemetery. 2. Caroline/Carrie L. Nye Kirschbaum Sherman; (February 11, 1858 – January 27, 1897); Married (1) William Guest Kirschbaum (1853 – 1941) (Julius Kirschbaum & Jane S. Thompson) in New Bedford Ma. 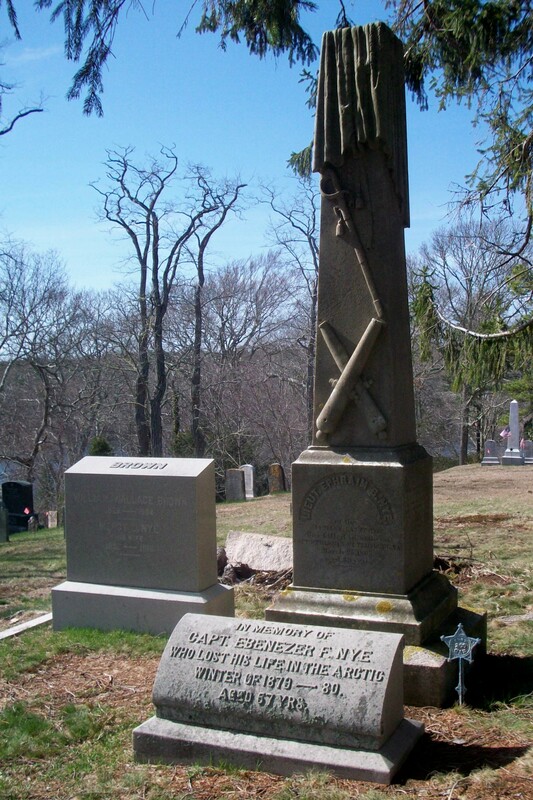 on June 17, 1875 & married (2) Albert Case Sherman (1849 – 1914) (Peleg Sherman & Hannah Potter Case) Aft. 1881; William married (2) Hattie B. Edmonds (1863 – 1938) (Hiram W. Edmonds & Laura J. (–)) in New Bedford Ma. on May 14, 1885; William & Hattie are buried in Rural Cemetery in New Bedford Ma. 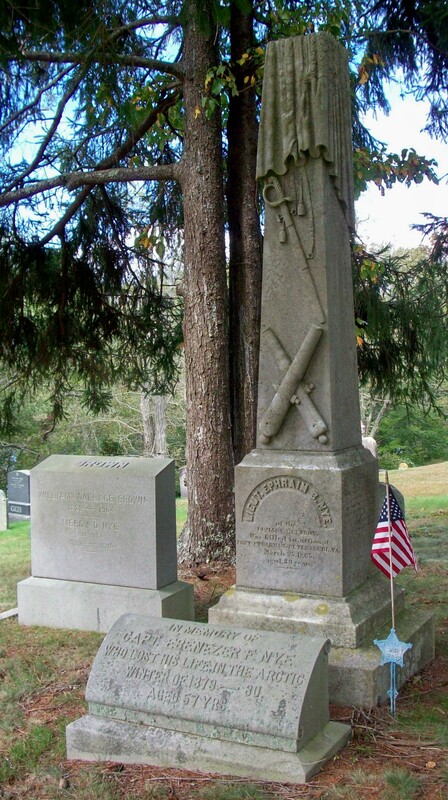 ; Albert married (1) Mollie Allen (1852 – 1881) (Frederick Allen & Hannah Crary Brownell) in Westport Ma. on August 5, 1880 & married (3) Hannah C. Arey Brownell (1853 – 1930) (Elbridge Gerry Arey & Sophronia Lathrop) in New Bedford Ma. on October 25, 1898; Hannah married (1) Holder M. Brownell (1835 – 1893) (Holder White Brownell & Love G. Baker) in New Bedford Ma. on January 19, 1887; Holder married (1) Mary E. Bartlett (1839 – 1883) (David H. Bartlett & Eliza A. Russell); Caroline/Carrie died in Oakland Ca. 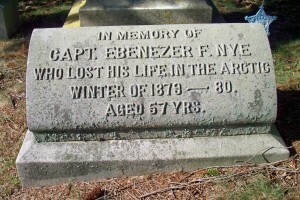 & is buried in Rural Cemetery in New Bedford Ma. with Albert & Hannah. 3. Helen S. Nye Austin; (March 8, 1862 – ? ); Married Henry Austin (Abt.1856 – ?) (William Austin & Rachel A. Chase) in New Bedford Ma. on May 7, 1899.